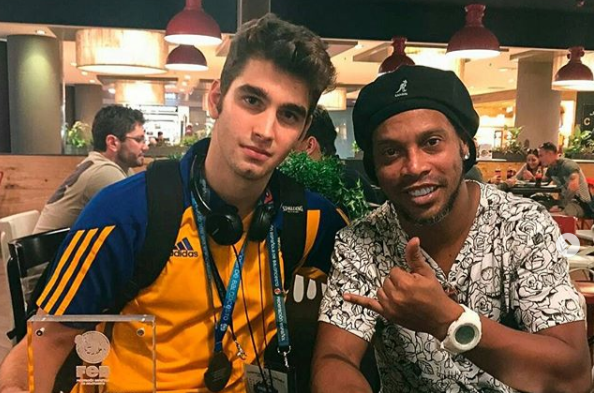 Football star Ronaldinho is known for his dribbling moves, but he will soon have to show off his juggling skills when he marries two women at once. Ronaldinho is making headlines around the world following reports that he will be marrying both of his girlfriends on the same day. Yes, you read right, the former Barcelona player not only has two women, but he plans on making them both his wives. According to The Sun, the Brazilian asked Priscilla Coelho and Beatriz Souza to marry him in January - with matching engagement rings! The ladies know about each other, and the trio has been living together in perfect harmony since December. Ronaldinho allegedly gives them both a monthly allowance of £1,500 (around R26 000). While soccer fans have applauded the 38-year-old for his smooth moves on-and-off the field, his family is not happy with his polygamist ways. His sister Deisi has allegedly indicated that she will not attend the August nuptials. #Ronaldinho se casará💍💍 en agosto con Priscilla Coelho y Beatriz Souza, las dos mujeres que conviven con la leyenda del fútbol mundial 🇧🇷 desde hace 2 años.